The driver of a semi-trailer involved in the fatal collision that killed a teenager in March has been charged with dangerous driving causing death and criminal negligence causing death. The driver of a semi-trailer involved in a fatal collision that killed a teenager in March has been charged with dangerous driving causing death and criminal negligence causing death. Sukhdeep Deol, 40, of Edmonton, was released following his arrest and is scheduled to appear in Fort Saskatchewan Provincial Court on Aug. 2. 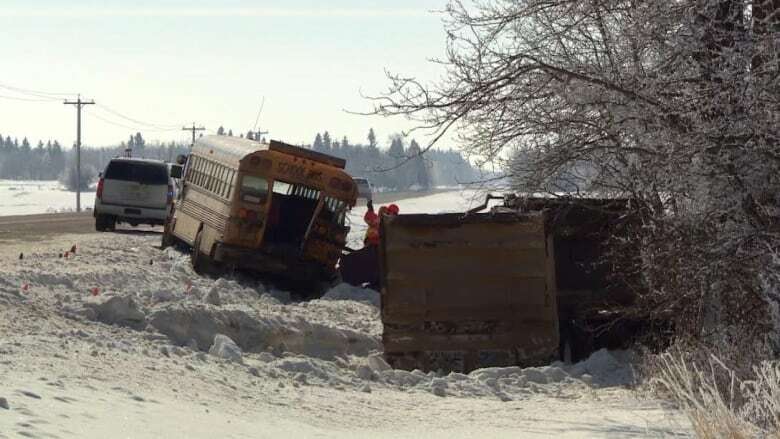 Thirteen students from kindergarten through high school were travelling to Thorhild Central School on the morning of March 7 when their school bus was rear-ended by a gravel truck in heavy fog near Redwater. Maisie Watkinson, 15, who was sitting in the back seat of the bus, died at the scene. The bus driver was not injured. The other 12 children were examined at the scene, then taken to the school, where their parents picked them up, RCMP said at the time. The crash happened shortly after 8 a.m. on Range Road 223 near Township Road 594, north of the hamlet of Opal, RCMP said. ​The school bus was turning onto the range road when it was hit, police said.